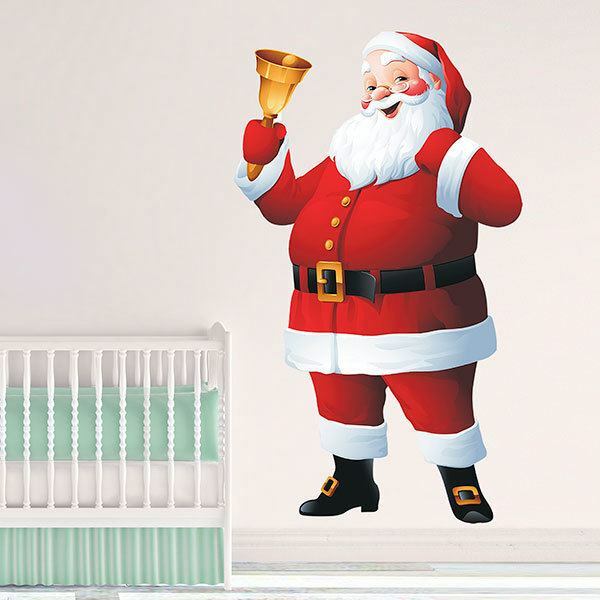 Kids wall sticker Santa Claus with his bell. Fantastic illustration of Santa waving the bell that starts Christmas. 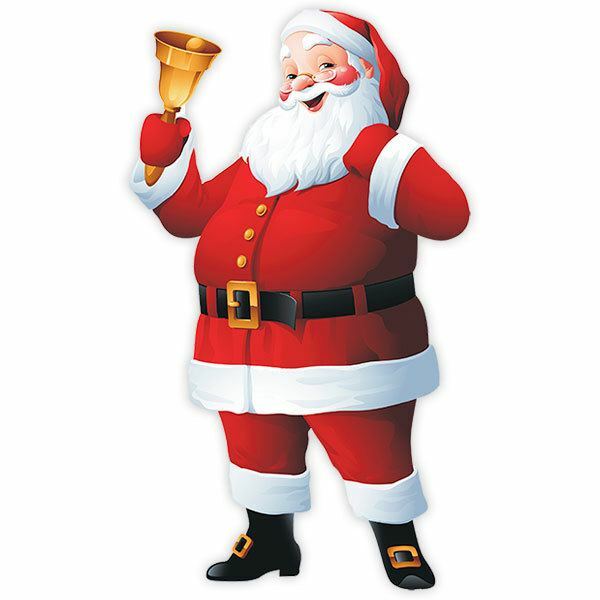 Decorate your home with sweetness and affection with this magnificent design that opens the way to the most familiar festivity of the year, in an original and welcoming way. Size: 6 x 15 cm. 6.69 x 11.81 in. 9.06 x 15.75 in. 11.42 x 19.69 in. 13.78 x 23.62 in. 16.14 x 27.56 in. 18.50 x 31.50 in. 20.87 x 35.43 in. 23.23 x 39.37 in. 25.20 x 43.31 in. 27.56 x 47.24 in. 29.92 x 51.18 in.